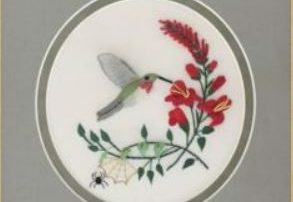 The purpose of our non-profit organization is to support and encourage quilt making and collecting by providing education, history, pattern sharing, technique exchange, fun and fellowship. 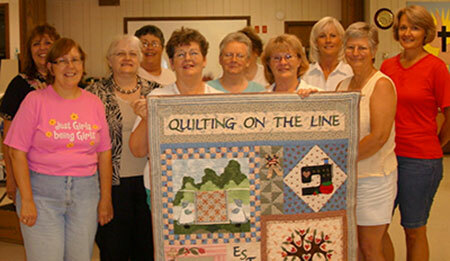 Our guild strives to support educational and philanthropic endeavors through our love of quilting. Photo credit: Hexagon quilt with applique border shown in banner image, made by Audra Wisnom. 5:30-6:30 p.m. – Pre-meeting time: You can sit and sew with friends, socialize, or watch a demo. Many meetings have a member demonstrating a technique. If public schools in either Southeastern School District of York County, PA or Harford County, MD are closed or dismissed early, the meeting is cancelled. The meeting may also be cancelled at the discretion of staff members, in which case a notification will be sent to all members via email and an alert will be posted on the website.